As many people do, I used the new year as a chance to look back on the previous year and think about what did and didn’t work. That way I can make this year’s gaming even more awesome! Help everyone have fun. This is perhaps my most ambitious resolution. I’ve posted a bit about this before, but I think we have a responsibility to make sure everyone at the table has as much fun as possible. Gaming is a cooperative experience, be we often we get distracted by our own fun. Help the GM more. Most of the time, I GM and don’t play so I suspect this is closer to my heart than many. As a player, I should aim to help the GM as much as possible run a good session. This might entail cleaning the battle mats between encounters, making drinks, not talking over him and so on. Try to keep my character alive. Tricky—I’m playing a bard…still three out of four isn’t bad! 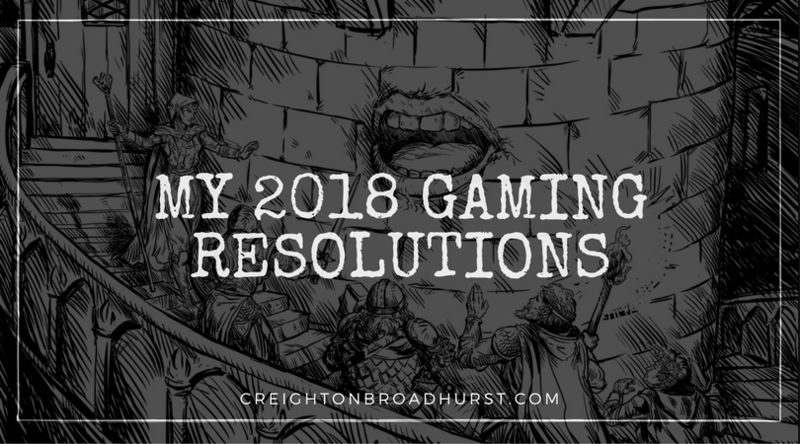 What are your gaming resolutions for 2018? This year my goals include joining a group for ttrpgs or putting together my own group for the same purpose. Tried last year but it failed. Just gotta try again. I’ve just joined a local pathfinder campaign where we play once a week so my aim is to try and make as many of these sessions as possible. I won’t be able to make them all as they are on a Wednesday and I’m a school governor so once every couple of months there will be a school governor’s meeting. But I’ll aim to make every pathfinder session but those! I’ve also just subscribed to Scabard and have started converting my long standing campaign from some A4 folders into digital format.I’d like to think I could get it all uploaded by the end of the year but seeing as I’ve been building the campaign for around 35 years without ever completely organising the contents completely this may be a bit ambitous. The New Year’s resolution for next year will be to run the campaign! My final New Years resolution is to finally play some D&D with my wife. We’ve been married for 17 years but somehow never got around to it. However, the character is rolled and I can utilise some of my campaign notes I’m uploading to Scabard so this will hopefully happen ..
That sounds like an epic amount of work. Good luck, Andrew. I hope you get to play with your wife soon! btw my resulotion is to finish my almost four year old homebrew campaign this year and to make the story more entertaining by pushing the narrative better (as opposed to leaving complete freedom to the players to decide what they want – actually links to your second resolution). New year’s resolution, both as a player and a DM: Keep it fun, keep it fresh for all. 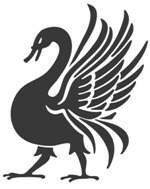 The group I play in are all VERY long term rpg’ers and we probably play c.50 sessions a year, I’ll dm about 1/3 so it can be challenging to come up with new and interesting challenges. I resolve to pick up my 2ED Al-Qadim campaign, update the logs, track XP better, and KILL the PCs (or have my NPCs die trying!). Mmwahahahaha!